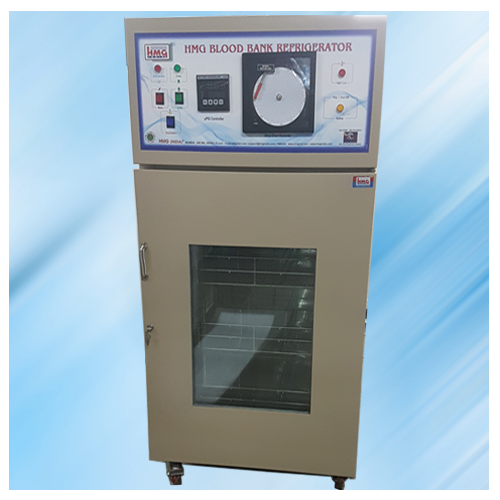 HMG Blood Bank Refrigeratoris designed for store & preservation of valuable blood products, also for blood banking & Process application. 1.Smooth Stainless steel with hygienic and easy to clean interior. 2.Well-balanced refrigeration system with hermetic sealed compressor. Audio-visual alarm provided as a safety measure in the event of temperature protection with thermostat. 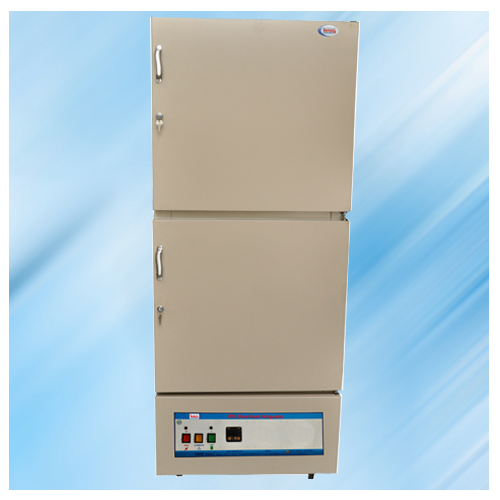 Compact and efficient floor mounted unit with electronic digital temperature control. Temperature Range:- 40Â°C + 10Â°C, with better uniformity and accuracy. Power supply 230V, 1 Phase, 50Hz. If possible room temperature around the machine should be at 25Â°C with air conditioning or supply a room with fresh air with an exhaust fan. However, the surrounding temperature should not go above 30Â°C. 1. Calibration certificate for the temperature controller & Sensor with traceability. mP (Micro) Controller with Printer Interface.